It’s the final day of Sleepopolis Latex Mattress Week and we’re finishing up by announcing your chance to win a FREE Leesa Mattress. The Leesa doesn’t technically use latex foam in it’s construction but made our list of Best Latex Mattresses as one of a few great latex alternative mattresses. 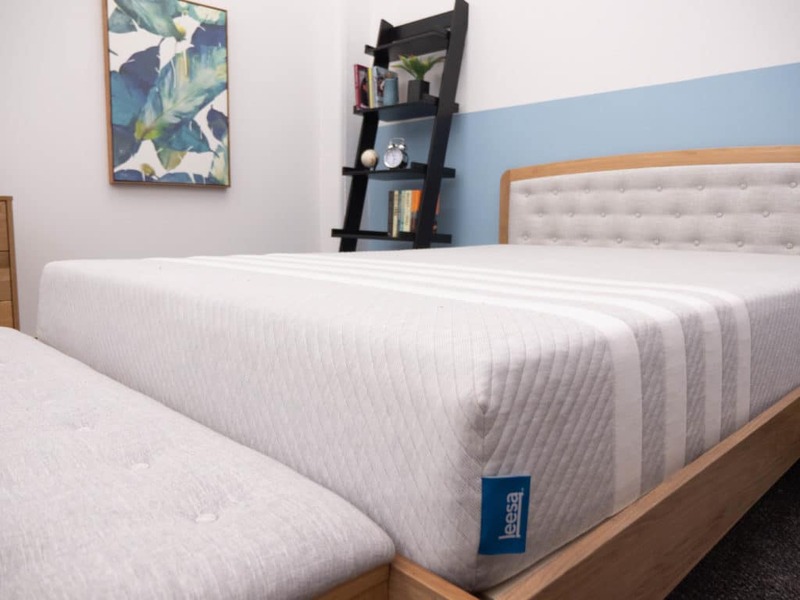 Leesa is one of the most popular bed in a box mattress companies on the market and their latex like Aveena foam over memory foam construction provides great mobility for sleepers that roll around during the night but still want a bit of memory foam’s pressure relieving properties as well. If you’re interested in learning more about the Leesa mattress you can check out my full review here. Just because today is the last day of Sleepopolis Latex Mattress Week doesn’t mean you have to miss out on any of the other chances to win a mattress. Be sure to enter all of the giveaways we currently have going on at Sleepopolis! All week I go: That’s my favorite; and the next day: That’s my favorite, etc. It doesn’t really matter, I just need a new mattress. Out of the best latex mattresses you’ve reviewed, my favorite is the Spindle. That’s because I really like how adjustable it is and how the mattress allows you to find just the right firmness level for yourself. And that would be ideal for me, because I’m not sure exactly how firm I would like a mattress to be. Thanks for the fantastic opportunity to win! I really hope the computer picks me this time! Good Luck everyone! The Leesa Mattress is my favorite latex mattress. My granddaughter has a Leesa mattress and just loves it! I had been leaning towards the Zenhaven, but after reading about the Leesa, I think the Leesa sounds pretty perfect for me! Either one would be a 100% improvement over my current mattress! Sounds perfect for my husband – as a paraplegic, a good mattress is extra important. I’d love to own a Leesa! I’d love a mattress like this! I like the Zenhaven because it is Best for Side Sleepers and I’m a Side Sleeper although I’m trying to become more of a back sleeper, but it’s not easy. A Leesa Mattress would be wonderful for a good night’s rest! I like the Sleep EZ Roma Mattress but I love the Leesa!! I would pick the Leesa! It’s hard to choose which is my favorite latex mattress review as they all sound so comfortably amazing! I definitely like the Leesa mattress and the Zenhaven too. I think I would pick the Leesa. We need a new mattress so badly! Lessa sounds wonderful! I would love to try out a Leesa too! The Leesa now has my interest. My back is killing me! I need a new mattress bad! The Leesa Mattress sounds like a perfect mattress! ! Would be so nice to have!!! Leesa sounds like my kind of mattress. My fave is the Zenhaven	because you picked it as Best for Side Sleepers. My back would love to try this out. Thanks for the opportunity! This would be great for The pain in my back! what a dream thank you for the opportunity. be blessed! I really like the Leesa! Would love to buy one of these right now but can’t afford. I just adopted two Grandchildren (boys) and they right now comes first. 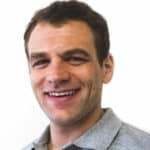 Thank you for the chance and making us sleep more relaxed to function better during the waking hours of life. The Idle Sleep Latex Hybrid is my favorite so far. My senior body would love a new mattress ! Leesa looks great; I’d love to try it. Hard to know which one would be perfect for me, as I’m both a stomach and side sleeper, but the Leesa seems to consistently get great reviews. Thank you for the opportunity to win! Think his may even be great for my belly sleeping!! Looks really comfortable and I would most like hit the bed and be out in no time! I’m in to win !! Really intrigued with the new top layer of the Leesa. Hoping they put it on the Sapira as well. I’d love to try this Leesa!! Looks like I could sleep for days!! I love my Sapira by Leesa! Which of the best latex mattresses we’ve reviewed is your favorite? I would have to say the Leesa mattress. Friend has one and I layed down on it….and OMG – this is what I’ve been looking for. Sleep is vital. A good mattress is vital to good sleep. I am a side sleeper and I think the leesa would be the best fit for me. The Helix is my favorite. I love all these mattresses although the Latex for Less has alot of advantages which would suit me best. I’m sleeping on a Puffy Mattress now so any of these would be a great change. I have a Leesa pillow and love it, so a Leesa mattress would be awesome! Thanks for all of your reviews and this opportunity. This looks like a great bed! I love the Leesa Mattress! Latex for Less Mattress is my favorite. Leesa is a matress that I’m seriously considering buying. Thank you SO MUCH to Sleepololis for the opportunity to WIN one of your heavenly mattresses!! I’m a Dancer, & my back and neck are SO vital to my art! I’ve searched high & low for just the right bed (currently my mattress is 14 yrs old) & I’d give anything for a new bed! From reviews, to scientific testing, “Sleepololis” has come out on top every time! Upon your recommendation, we purchased a Purple – which we love. I am now looking to purchase a mattress for my daughter’s guest room (which I will be using when I visit) but I don’t want to spend $1000.00. I would love to spend around $500-$700 for a nice mattress. I would want it to be made here – or more specifically, not in China. Safe in terms of off-gassing, etc. Please, any suggestions will be appreciated! I loved the Zenhaven latex mattress review! Several faves. All the natural mattress..organics. And, the avocado for firm. The adjustable sounds great too. I’ll tell you… this is really hard for me to pick one! I really think the Zenhaven would be a perfect mattress for us. BUT… I’ve been a huge fan of Leesa for a while! Their mattress looks so comfy, and the reviews I’ve seen (on the mattress) are really good! I just want to be able to sleep, and not wake up in pain! Thanks!!! By the way still have the sleep number hate it would really love to win a new mattress side sleeper. Read your info on sleep number beds. I have one that I purchased many years ago paid $2500 for. I complained from day one and was told that I needed to buy a memory foam topper. This was their top of the line, cashmere topper the works. So put a memory foam topper on. Still not right! Customer service is horrible never solving the problem just wanting to sell you something else. Buyer be ware!!! Latex for Less Flip-able is what I like best. Definitely the Leesa mattress would be my favorite for sure!! I think Zenhaven would be best for me. I am now interested in the Zenhaven mattress after reading your review because it gave a thumbs up for it for side sleepers like me. Your review of the Zenhaven mattress has me following up since you indicated it is a very good choice for side sleepers. I haven’t tried all of them yet, but leaning to the Avocado Green.. The Leesa is intriguing as it still sleeps cool and even for side sleepers the pressure points are evenly disturbed. I’d so love to sleep with the terrible aching in my shoulders and hips! This looks like a great mattress that my hubby and I would enjoy. Looks Fantastic! Would love to have this mattress! Still here and still hoping for a win!! Thank you for the opportunity and Enjoy your weekend! Would love a Latex Mattress ! The reviews are phenomenal ! I think the zen haven might be my favorite, but i’m interested in Leesa because of its combination of latex and memory foam. I think my son would love this bed-in-a-box. He needs it in a twin. Fingers crossed! Advanced cooling technology in a luxury hybrid….I love a cool feeling bed. Leesa truly is a great company and their mattresses is suberb for my sciatica. My mother has one and I wish I could steal it from her. This one isn’t latex ,but sounds nice for people who roll around at night..would be happy with it.. Even the protector on the Leesa mattress looks comfortable. I still think the Zenhaven is the best for me. I’m in need of a better mattress so badly though, I am willing to try any of them out. It’s already hard enough to sleep using a C-PAP machine. I also suffer from PTSD and insomnia. Actually the 2nd one seems best for us! We could definitely use this! Our mattress is old and we need something better for our backs! I am leaning towards the Avocado. But the Zenhaven and Idle also sound wonderful. Now if they would just come out with an adjustable one, that is also firm, but not too firm made for heavier people that sleep with a lighter person, is great for sidesleepers and those who change position all night long and doesn’t transfer the movement to your partners side, plus gets the best marks all the way around all in one mattress; I’d be in heaven. ;) And if you do know of one that is super affordable with all of this or most of it anyway, doesn’t really have to be adjustable I guess, please reply with which one!! Thank you. I have seen a lot of nice looking mattresses. I think my favorite is the Zenhaven. The Ghostbed is my favorite! I’d love to have one. Would love to have this one as well, honestly. I love this mattress ZENHAVEN as I’m a side sleeper. I like the flip able that has different firmness on each side. There could be times when you might want a different firmness. Any would be nice for me for ours is sagging in the middle!! Flat out….we need a good mattress….flat out….winning is our only option right now. Thanks for the chance! Zenhaven seems to be the best for me! I hope I win! My mattress is so old. Im speeping on a couch bed. Uncomfortable ! They all sound fabulous, though as a side sleeper I’m very interested in Zenhaven. I might say this one. I’m a side sleeper so I think I would pick the Idle. Great review. Very helpful information for doing research on the best mattress to suit your needs. Avocado Green is my first choice. Excellent mattress review leesa is one of my favorites great job sleepoplis. I would love to have one of the new mattresses! Long overdue. They sound heavenly. I’ve wanted a Leesa Mattress for so long! Hi! I am a 57 year old, disabled woman-with so many different things going on (usually wrong!) with my body it is unbelievable! I am on a fixed income, but would like to enter all the bed giveaways-pulled up a few, did not see where or how to enter sweepstakes. Thank you! I would love to win one!!!! Whoo hoo!!! A good night’s sleep would be a wonderful thing!!! Haven’t had one in years!!! I would love a Leesa!